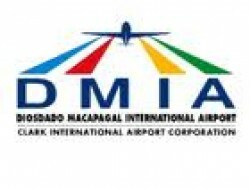 About DMIA The Diosdado Macapagal International Airport (DMIA) is located at the heart of Central Luzon, making it the most viable and convenient airport of choice for travelers from North-Central Luzon and the northern Metro Manila area who wants to avoid the hustle and bustle of the city streets. It is easily accessible by shuttle bus from various points of Metro Manila and North Luzon. The Diosdado Macapagal International Airport (DMIA) is one of the biggest aviation complexes in Asia with two (2) runways in parallel configuration that can easily be extended to 4 kilometers to accommodate new generation wide-bodied aircrafts. The primary runway (Runway 02R/20L) has a length of 3,200 meters and a width of 61 meters. It is fully equipped with all navigational aids and lighting facilities and has a Category 1 rating for precision approach. The secondary runway (Runway 02L/20R) has a length of 3,200 meters and a width of 45 meters. It is not yet equipped with navigational aids and lighting facilities and is currently used for Visual Flight Rules (VFR) only. The airport is well equipped with a Terminal Radar Approach Control, Navigational Aids, Meteorological Equipment, Airfield Ground Lighting System and Crash, Fire and Rescue facilities. The DMIA takes pride in its modern amenities complemented by airline support services such as Gate Gourmet, the world’s largest in-flight catering service provider; SIA Engineering Philippines, for Maintenance Repair Overhaul Facility; Lubwell Corporation, for into plane fuel service provider and Clark Airport Service Support Corporation (CASSC), for ground handling facility to name a few. All these are being undertaken with the end vision of developing the Diosdado Macapagal International Airport (DMIA) as the next premiere international gateway of the Philippines and the best services and logistics.